Are you living the life you envisioned, embracing what each day holds for you, feeling mentally, emotionally and physically balanced? Or are you caught up in racing to get everything done and feeling overwhelmed? Do you find yourself craving some time to revitalize yourself in a mindful, and healthy way in order to live your life more fully? The Ojai Women’s Retreat offers you the time, space, and tools to fully embody mindful living and to learn valuable practices of self-care that will enable you to create peace amidst the flow of your busy life. This retreat will support you to return home fully rested in Body, Mind, and Spirit. The three disciplines, Yoga, Ayurveda, and the Alexander Technique, deepen your relationship to your true self, your true beauty from the inside, out. Go inward and learn the art of self-care, self-awareness, and self-transformation. When this happens, life just gets easier! Every day we are a new self, with new possibilities. This 5-day retreat is specially designed to teach you the art of unlearning—letting go of old patterns that have long since lost their usefulness—while also providing precious leisure time which allows these new skills and understandings to become more rooted in your daily life. We teach Yoga, Ayurveda, and the Alexander Technique in a practical and meaningful way so that when you return home you will have useful tools to keep this new, balanced relationship going—not only within yourself but with everyone around you. Embody present moment living and get back on your path to feeling whole again. Join us in beautiful Ojai and experience the magic that this amazing valley holds, the serenity of the Pepper Tree Retreat and how the profound disciplines of Yoga, Ayurveda, and the Alexander Technique can transform your life. The beautiful oasis of the Ojai Valley and the peaceful setting of the Pepper Tree Retreat. Learn transformative techniques and practices in all three interactive healing modalities: Yoga, Ayurveda, Alexander Technique. Make the most of the intimate setting by receiving personal attention and time with highly qualified teachers. Delicious, healthy and healing meals that are cooked especially for the Retreat. A beautiful opening and closing ceremonies that creates a container and builds on a sense of community. ~ Mary P., Tampa FL. Morning, lecture/discussion on the Yoga Sutras and how they apply to balancing your life. Afternoon presentation on Ayurveda and its practical application to nourishing yourself as a woman. Food as Medicine ~ how to create a diet that supports your body. Working with the 5 sense therapies ~ what ones are right for you! Discover the power of breath work (pranayama) ~ how it can balance your whole system. An evening of nourishing chanting, sharing and connecting. An evening of fun and celebration at my home. Swimming, food, sharing and a closing ceremony to remember. Carol is a leading expert in the Mind/Body field and has been involved in the Holistic Health Care for over 30 years. Having dealt with a failed three level spinal fusion in her low back by the age of 20, Carol has spent her life learning and teaching others how they can create a more conscious relationship to their movement patterns, their mental and emotional patterns, breath and overall health and well-being. She is confident that if you learn and apply the Alexander principles, Ayurveda and Yoga to your own life you will begin your own healing process. Carol graduated from Alexander Training Institute in San Francisco in 1986. Carol graduated from the California College of Ayurveda in 2008 as a Clinical Ayurvedic Specialist and a Pancha Karma Specialist (Ayurveda Body therapies). Carol trained as a Yoga teacher at the Healing Yoga Foundation in San Francisco, a 500-hour teacher-training program in the tradition of T. Krishnamacharya. 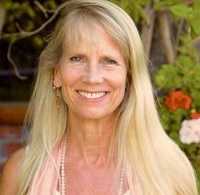 She combines her training of the Alexander Technique, Ayurveda and Yoga and teaches in Ojai, Santa Barbara Los Angeles. Carol also teaches workshops throughout the U.S. and Europe. Conscious Lifestyle & Wellness offers a multi-faceted hands-on approach to optimal health and well-being. These 3 disciplines: Yoga, Ayurveda and the Alexander Technique are educational in nature and provide tools and a process that help make your life easier. They address the whole person, and not just symptoms or discomfort. These are some of the challenges that we are dealing with in today’s face paced society. Stress is the leading cause of many diseases in the body. Symptoms are the body’s voice communicating to us that we are living out of harmony. Listening to that voice is not always easy. 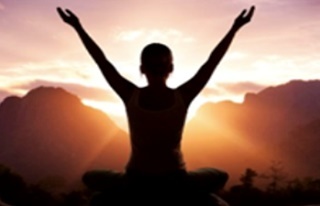 Conscious LifeStyle offers programs specifically designed to help you overcome your health challenges and bring your body, mind and spirit back to an integrated harmony. Yoga addresses all dimensions of the human system: body, breath, mind, personality and emotions. The underlying focus of Yoga is to remove obstacles and distractions in all of these dimensions by eliminating ‘old patterns’ and creating new links that change our perspective and create a positive experience. Yoga is more than what we do on the mat in our asana practice, but what we take and apply off the mat and into our daily life that is most important. Yoga is a self-empowering process, so as a teacher I work to create a healing practice that address your unique needs. I also bring in the underlying principles of the Alexander Technique and Ayurveda. Ayurveda is an ancient healing system of medicine with its roots in India. It is often referred to as the healing side of Yoga. Ayurveda means “The Knowledge of Life and Longevity”. The beauty of Ayurveda is that it focuses on the whole person, not just the symptoms. It promotes holistic living that is essential to maintaining the quality, harmony and longevity of life. By assessing the body’s constitution, current imbalances, diet, and lifestyle I design a tailored made program for each individual that address the root cause of disease and brings the body back to health. As a practitioner, I act as a coach to teach and empower you to create your own healing process. Diet and smart food choices for your body type. The Alexander Technique offers a clear, systematic look into the underlying principles that govern human movement by showing you how to use your body more effectively. The beauty of the technique is that it teaches you to be your own teacher. It promotes self-responsibility and self-care model that allows you change habitual patterns in how you use your body by becoming more mindful. I believe changing your habits will change the way you live your life.